The Goat Island Marina is a full-service marina situated just off the coast of Newport on Goat Island. 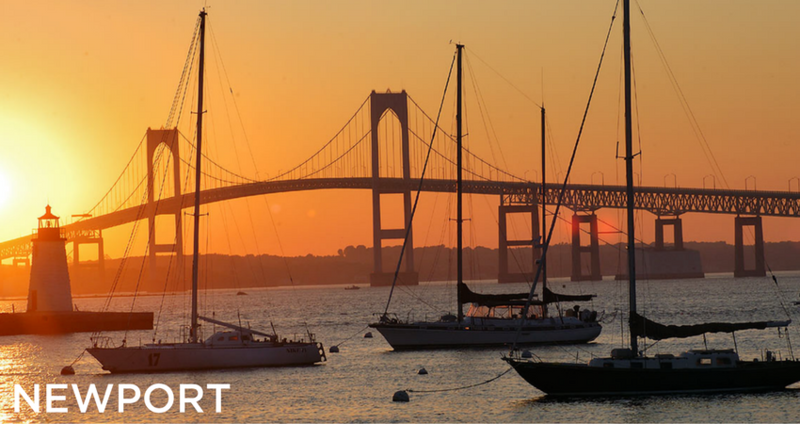 The unique location of the marina offers guests all of the perks of bustling downtown Newport with the tranquil and relaxing atmosphere of an island. Come experience the extraordinary views of both the harbor and the city of Newport! The Marina’s proximity to the harbor allows it to accommodate any size vessel, up to 250 feet! Guests of the Goat Island Marina are provided with a complete range of amenities that are designed to make your visit as stress-free as possible. The marina is equipped with a 24-hour security team, complimentary Wi-Fi and cable TV hookup, as well as laundry and pump-out facilities. If you want to venture over to the mainland you can choose to take either the very quick 20-minute walk across the bridge or the water shuttle service that drops you right into town. 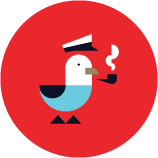 The island itself is steeped in fascinating United States naval history. It is also home to the luxurious Belle Mer venue. If you are hosting or attending an event at the Belle Mer, the Goat Island Marina is the perfect place to dock! There is nothing more important after a long day on the water than being able to unwind, whether it be on board or on land. The Goat Island Marina is within a few steps of the Hyatt Regency Newport hotel which is equipped with a magnificent pool and spa, should you decide to spend the weekend on land. If you need a quick bite to eat before heading out on the water for the day, the Marina Café & Pub is conveniently located right on-site. Next time you're planning to dock up on Goat Island, consult the Dockwa app to take the stress out of reserving a slip or morring!